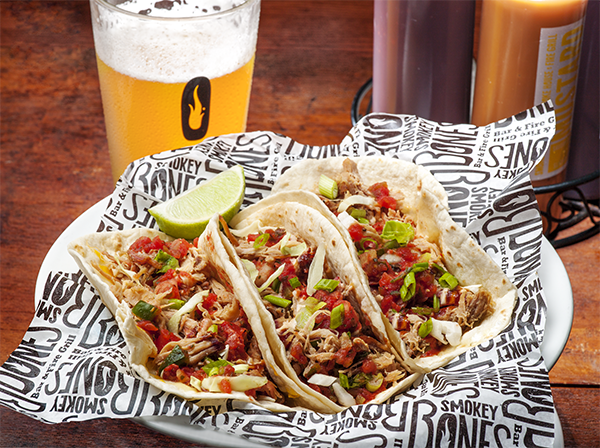 For those who just can’t seem to pull it together on #TacoTuesdays, we have you covered as Smokey Bones Bar & Fire Grill has recently launched its new ALL YOU CAN EAT TACOS from 9 pm to close every Wednesday for only $11.99 with chips! Its BBQ street tacos are made from the choicest meats, slow smoked for 9 hours or grilled over an open fire. Guests can choose from fresh house smoked Pulled Pork, Smoked Brisket, Choice Steak**, or Grilled Chicken. Talk about a savory fiesta! (*Offer is good with beverage purchase. Dine-in only (no doggie bags please). Not valid with any other offers. **Grilled Choice Steak +$1.00).